Seven photos at Llanbister Road, Knucklas, Knighton and Bucknell. 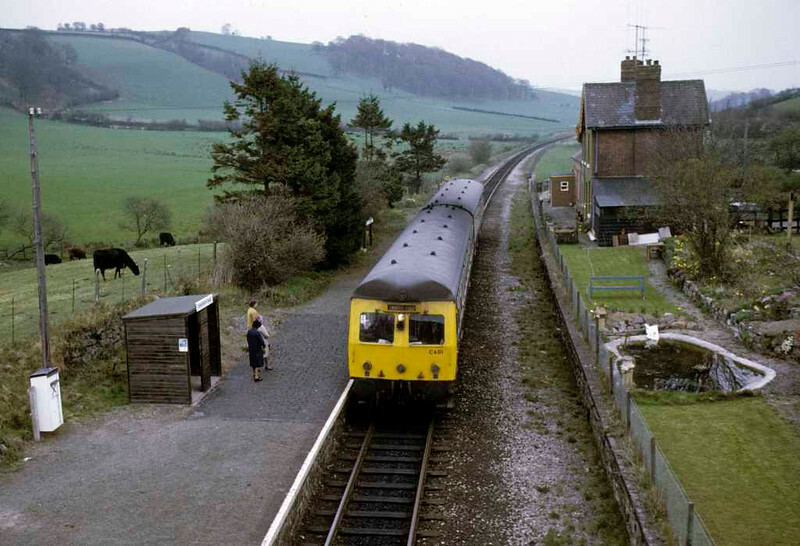 Llanbister Road station, 20 April 1974. A Shrewsbury to Swansea service arrives, worked by Swindon cross-country class 120 set C601. Photo by Les Tindall.